← Coming Soon ~ Spring Online Auction! Order forms for our annual plant sale are due this Wednesday, April 17th. Choose from annuals, perennials, organic veggie starts, zonal geraniums, herbs, planters and hanging baskets. 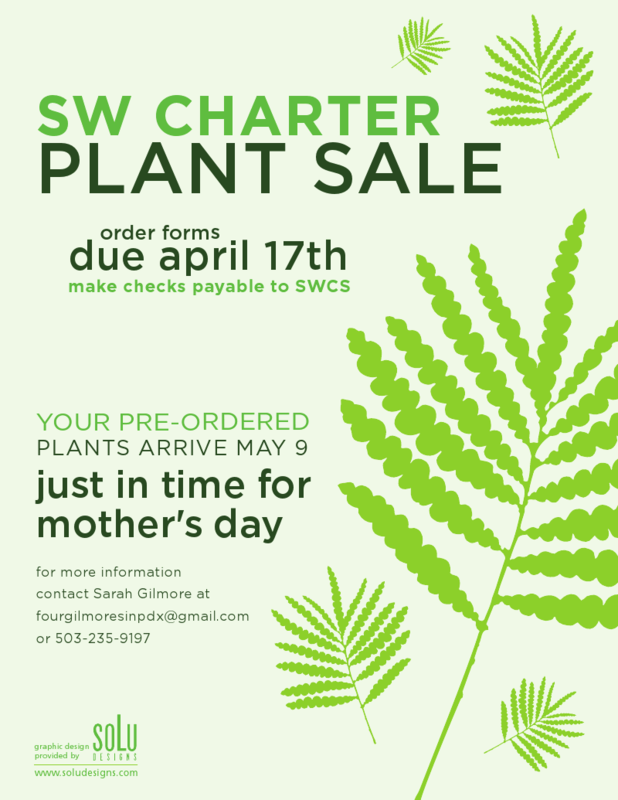 Plants will be delivered to school for pick up on May 9th, just in time to make a great Mother’s Day gift! Click here for order form and plant descriptions. Plants are from New Leaf Greenhouse in Cornelius, OR. This entry was posted in Events, Fundraising and tagged plant sale. Bookmark the permalink.